The bankruptcy of “green jobs” darling Solyndra is in the news because it could potentially cost U.S. taxpayers $535 million due to a federal “stimulus” program loan guarantee. The Silicon Valley solar-panel maker’s failure comes on the heels of another “green” corporate welfare beneficiary also going under, Evergreen Solar (with a factory located in Midland, Mich.). These deals were big losers for Americans. “Prices of silicon came down as the Chinese volume increased; they were able to get to very low costs and become competitive,” said former Solyndra CEO Brian Harrison. 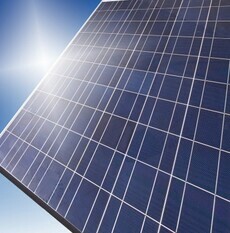 "Chinese companies have flooded the market with inexpensive panels, and Europe — currently the largest customer base for solar panels — has suffered from an economic crisis that has significantly reduced demand and forced cuts in subsidies for solar deployment that were important to Solyndra's business model," Jonathan Silver, who heads the Department of Energy's loan-guarantee program, is expected to tell the House Energy and Commerce Committee, according to The Wall Street Journal. Proponents of costly government “green jobs” subsidies, without which these firms would probably never have existed on such a scale, claim that select “clean” energy (wind, hydro and solar but not nuclear or natural gas) is the wave of the future, and worth risking taxpayer dollars to support. If so, why wouldn’t they welcome lower-cost Chinese versions of these products, which presumably would bring about our economy’s transition from “evil” fossil fuels even more rapidly? Or at the very least, let the Chinese government instead of American taxpayers take the hits for allocating capital through politics rather than market realities. Those favoring these energy subsidies may disagree, believing that sending taxpayer money to politically connected select companies is actually a “jobs creator.” Disregarding the mountains of evidence that government is notoriously bad at picking economic winners, just looking at these two solar companies should show that this is a bad argument: The companies combined to employ about 1,500 people at the time of their bankruptcies (a few hundred for Evergreen Solar and 1,100 for Solyndra). On top of the federal funds, Evergreen Solar received $58.6 million from the state of Massachusetts and millions more from Michigan sources, while Solyndra got $535 million in federal aid and more from California. This is, in the words of my colleague Michael LaFaive, an expensive game creating the illusion of jobs. State and federal governments should stop using selective economics and get out of this game altogether.